We have recently been made aware by Youth and Homelessness agencies of the need for a different type of emergency pack geared to the needs of young people aged 12-25 years experiencing primary or secondary homelessness (broadly speaking sleeping rough or having only temporary, unsafe or unsuitable accommodation such as sleeping on friends’ couches). These young people are highly vulnerable to danger, violence, sexual exploitation, illicit drugs, other unlawful behaviors, and compromised mental health and well-being. They often are not well linked with agencies which could offer support, advice and positive pathways for the future, and many of them have not accessed financial support (for example from Centrelink) due either to reticence to engage with authorities, or low levels of literacy and numeracy which makes such access difficult without an advocate. The gaps in current service delivery include the gap we are seeking to fill with Anchor Packs, namely an easily-accessible resource which provides the immediate emergency items to help keep young homeless people as physically, emotionally and mentally as safe as possible while attempts are made to connect them with more long-term assistance and supports to assist them toward a more positive future. Research consistently demonstrates that young people experiencing homelessness face major threats to their physical, sexual, emotional and mental wellbeing and consequently to their long-term ability to lead safe, fulfilling lives and develop their capabilities and potential. 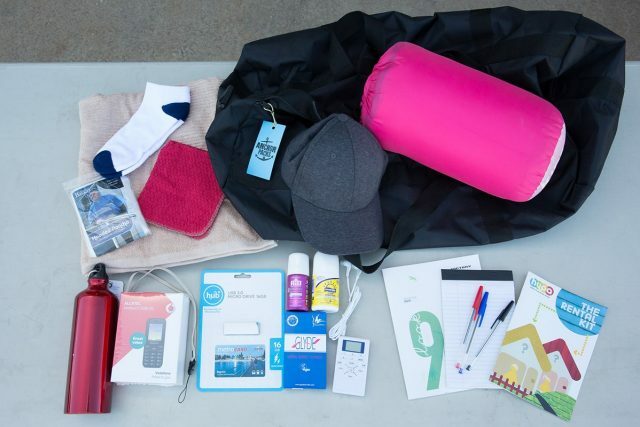 A homeless young person has immediate needs for tangible items like those we will put in the Anchor Packs for weather protection, personal hygiene, and transport costs, plus information we will include on how and where to get help. But the young person also needs items such as pencils and sketchpads to give them some distraction and ‘mental space’. Importantly, the need to feel someone cares about their well-being is equally vital, as we have discovered from feedback from Backpacks recipients. We and the agencies with whom we liaise consider the Anchor Packs will make a positive difference to the lives of young people by providing emergency items, information and the boost to self-esteem gained by young people in crisis situations in knowing there is help available and people do care about them. Ultimately, we hope this small intervention will contribute to enhanced well-being and a reduction in threats like long-term homelessness, substance abuse, unwanted pregnancy, interaction with the justice system and social exclusion. The packs will be distributed via agencies such as HYPA, Yarrow Place, and ‘soft’ entry points such as Twelve25 Youth Centre in Salisbury and the DECD Child Wellbeing Programme. Interested in contributing to the Anchor Packs program? We are always looking for donations, volunteers, and supporters for our programs.